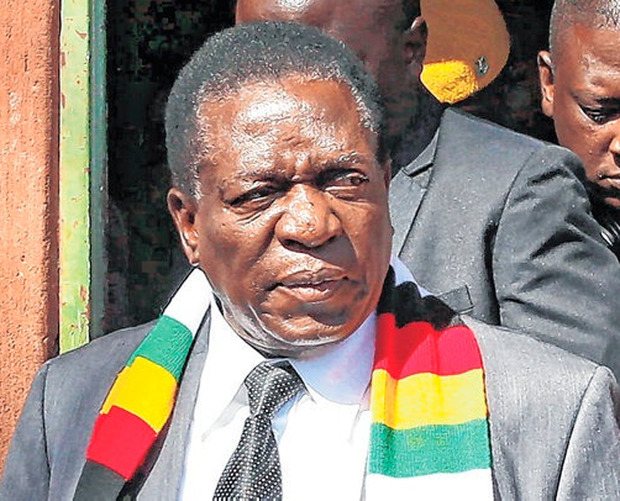 Zimbabwe faced further uncertainty yesterday as its opposition leader refused to recognise Emmerson Mnangagwa’s election victory and riot police tried to break up his press conference in an apparent effort to intimidate him. Mr Mnangagwa (75), the president-elect, narrowly won Zimbabwe’s first election since Robert Mugabe was ousted, with 50.8pc of the vote, the electoral authorities said. But Nelson Chamisa, the MDC Alliance leader, claimed to have won about 200,000 more votes than the official count showed and demanded Mr Mnangagwa concede defeat and resign. “Mr Mnangagwa lost this election and he knows it,” Mr Chamisa told reporters in his first public appearance since the results were announced. “We will pursue all means necessary, legal and constitutional, to protect the people’s vote,” he added. He claimed that he had won “around 2.3 million votes” but said he would not yet release the evidence that he said proved the figure because it could play into the hands of his opponents. Under Zimbabwean law, candidates have nine days after the release of results to lodge a legal challenge in court. Mr Mnangagwa flatly rejected the demand and called on Mr Chamisa to join him in “calling for peace and unity” in the wake of the vote. “The constitution of the country, as well as domestic electoral law, says the Zimbabwe election commission at the conclusion of the plebiscite pronounces the one who has won the election. And it has been announced that I have won the election. “I have not rejected the win. I have accepted it,” Mr Mnangagwa told reporters at his residence in Harare. Opposition Movement for Democratic Change (MDC) leader Nelson Chamisa. Mr Mnangagwa, who has sought to rebrand himself as a democrat and reformer since he overthrew Mr Mugabe, his former ally, in a military coup in November, said Mr Chamisa was free to challenge the results in court. 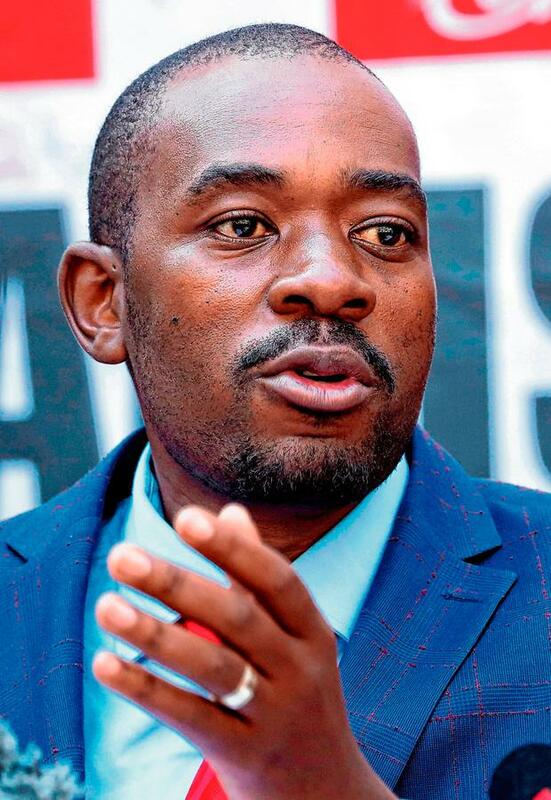 Mr Chamisa declared himself committed to peace, but the continuing stand-off will stoke concerns about further violence between authorities and MDC Alliance supporters. The streets of Harare have been largely calm since at least six people were killed in clashes between soldiers firing live rounds and rioting Chamisa supporters in Harare on Wednesday. But security forces have shut down the opposition’s headquarters and arrested at least 18 Chamisa supporters. The level of tension in Harare became clear as riot police attempted to shut down Mr Chamisa’s press conference. Between 30 and 50 riot officers banged batons on their shields and shouted “leave now” as they attempted to remove journalists from the Bronte Garden Hotel, only to hurriedly retreat when reporters attempted to interview their commanding officer. 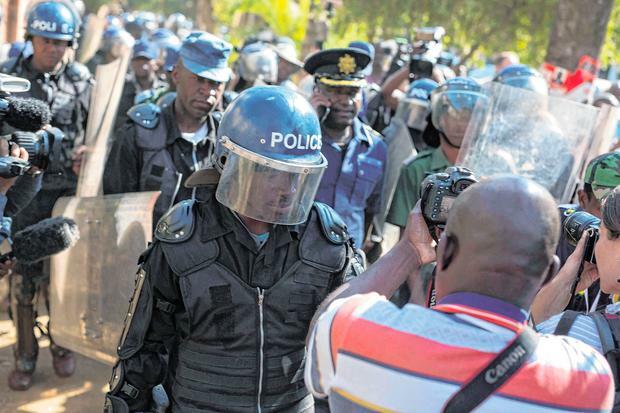 The police commander later told an MDC lawyer that he had believed the event was an unsanctioned political rally and had deployed his men to prevent a possible outbreak of violence. Zimbabwe’s election commission said that Mr Mnangagwa took 50.8pc of the vote, obtaining by a whisker the 50pc plus one vote majority required to avoid a second round run-off. Nelson Chamisa, his nearest challenger, took 44.3pc of the vote, it said. Mr Mnangagwa said he was “humbled”, hailing the victory as a “new beginning”.